1.75 acre peaceful and private waterfront lot on Benson Lake near Chaffey’s Locks on the Rideau System. Located on Dr. John Lane, it boasts mature hardwood and pine trees, stunning sunset views over a quiet bay and a high, dry, flat area ideal for building your dream cottage or year round home. Other nice 3 and 4 season cottages and homes in the area. 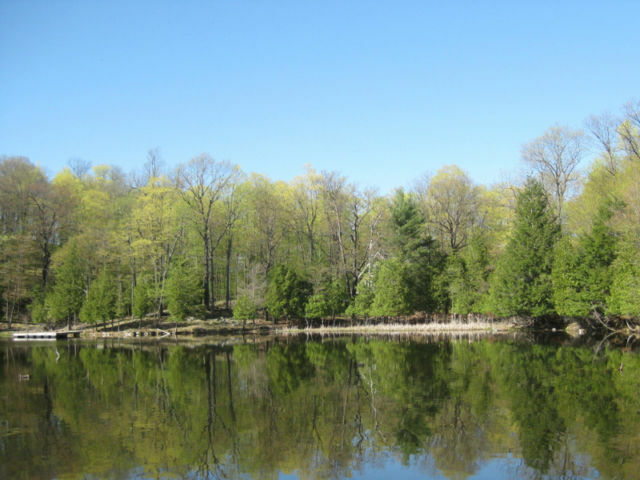 With 180 feet of natural shoreline, it is connected to Newboro, Indian and Clear Lakes (along with others) and is one lock from Upper Rideau Lake and two locks from Big Rideau Lake. Less than two hours from Ottawa and under one hour from Kingston. Great value for the Rideau System.